The Tesla Roadster on camera in a livestream from space. Tesla and SpaceX CEO Elon Musk launched a car into space in February, acting on something most thought was a joke. But less humorous are potential impacts the car could have on a planet, should it crash into one. Professors at Purdue University said the car could end up being a biological threat—or benefit. Remember War of the Worlds? Kind of like that, on a biological level, with fewer vaporizing robots and us being the ones who screw everything up. Also, there are no giant robots here, unless it lands on a planet that just happens to have giant robots. Are there lasers? Who can say. 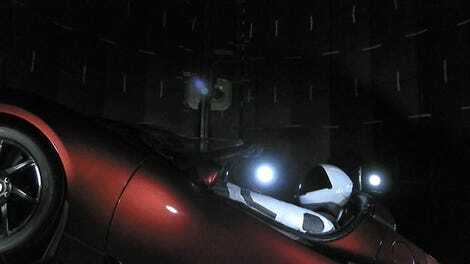 Musk shot a Tesla Roadster into orbit on a SpaceX rocket with a dummy named “Starman” in the driver’s seat last month, showing the car on a live stream for a few hours before it was left to float alone in the void for many, many years. But the car could go down in history for a lot more than just its highly public space launch, although not anywhere close to during our lifetimes. If the Roadster wasn’t sterilized before SpaceX launched it, scientists at Purdue said Musk’s car could turn harmful if it crashes into a planet like Mars. That would make the car’s “Don’t panic!” message on the infotainment screen more relevant than we thought, if microscopic living organisms could read. Don’t panic! Unless a potential biological threat is hurtling toward your planet. A piece published on Purdue University’s newsroom talks about how the car could become a biological hazard to a planet if it lands there having not been sterilized. The story said the car “may be the largest load of earthly bacteria to ever enter space,” but, again, that’s only if it wasn’t sterilized before launch. Jalopnik contacted the author of the story, Kayla Zacharias, who said it wasn’t confirmed to her whether SpaceX sterilized the car before launch—although it “seems unlikely that they would have,” she said. Jalopnik has asked SpaceX the same question, and will update this story if we hear back. The car didn’t necessarily have to be sterilized, according to the piece, meaning SpaceX wouldn’t have been out of line for launching it with bacteria. According to the story, NASA’s Office of Planetary Protection makes sure objects meant to land on other planets are sterile to prevent any Earth organisms from acting like invasive species—non-native species that cause harm to new environments. Since the car was meant to stay in orbit, sterilization wasn’t required. Jalopnik reached out to the Office of Planetary Protection to ask how common it is to sterilize objects in case they could hit a planet, and will update if we hear back. But the Office of Planetary Protection doesn’t regulate spacecraft that plan to stay in orbit; since the Tesla was never intended to land, it wasn’t cleaned before takeoff. Alina Alexeenko, a professor of aeronautics and astronautics at Purdue, works in a lab that specializes in freeze-drying bacteria and biologics. The freeze-drying technology is used for long-term preservation of live virus vaccines, bacteria and biopharmaceuticals - a process similar to what live organisms experience in space. “The load of bacteria on the Tesla could be considered a biothreat, or a backup copy of life on Earth,” she said. Scientists currently estimate that there’s almost no chance of the car hitting Mars, according to National Geographic, but that it’ll have a few close calls with Earth, Venus and Mars early on—early on in the timeframe of millions of years, that is. There’s a 6-percent chance the Roadster will crash into Earth in the next million years, and a 2.5-percent chance it’ll hit Venus. It’s kind of like a galactic pinball out there, with just a few targets it needs to avoid. The probability of the Roadster hitting a planet goes up with time, according to scientists cited by National Geographic, with an 11 percent chance of it returning to Earth—although not gracefully—after 3 million years. The sun will start to expand and die about 5 billion years from now, eventually engulfing Earth, so the car has a decent window to make an impact before things really go downhill. The Roadster enjoying some sun. Because of that, Jalopnik asked the scientists from the Purdue piece what would happen if the car hit Venus or Earth—particularly if some kind of disaster had wiped out Earth’s population. Melosh told Jalopnik in an email Earth bacteria couldn’t survive on Venus due to it being nearly 900 degrees Fahrenheit. The car would almost certainly break up in higher levels of Venus’ atmosphere, Melosh said, and could seed that area with its contents. Melosh said the cloud layer of Venus has more moderate temperatures but is also acidic, and there are microbes that can survive strong acids—he’s just not sure how likely it is that any of those microbes are on the car. The potential for the Roadster to hit Earth one day is higher, and also a lot more interesting. Melosh said the idea that life on Earth could be reseeded from space “has already been vetted by several people,” and that if unsterilized, the car could help the process if life has been wiped out to a degree by the time it hits. Musk’s billionaire midlife crisis sounds more and more like something out of a weird, post-apocalyptic sci-fi movie as the potential scenarios go on. 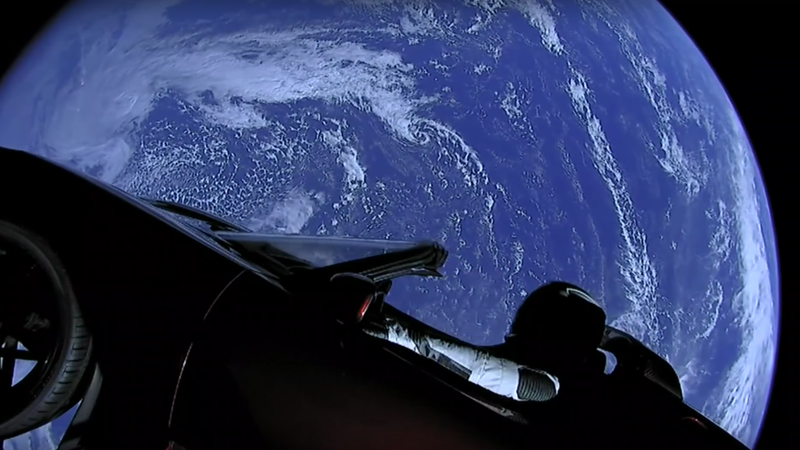 If the Roadster wasn’t sterilized before launch and crashed into a planet, it could either act as an invasive species elsewhere or help the Earth. Melosh said it was originally believed that huge impacts on early Earth would’ve extinguished life, so that “modern life could only date from the last big impact event.” But scientists later pointed out that a large impact would have ejected a lot of bacteria and microbes that could then fall back to Earth over thousands to millions of years, he said—bringing life back to Earth after it cooled off. Given all of the factors, there are a lot of unknowns in terms of Musk’s Roadster launch—starting with whether SpaceX sterilized the vehicle in any way before it left Earth, which could help remove the fear of any biological impacts, positive or negative, that it may have. If SpaceX didn’t sterilize the car to standards and it does hit a planet, it could either go down in very, very distant history as the object that sent one planet into biological distress or the object that helped to rebuild another. If that’s not the case, it could just be another remnant of ancient society that left Earth’s atmosphere and never returned.